For preschool, we knew that we wanted our son Quil to go to Montessori since both Andrew and I had gone for preschool (the same one, in fact) and we both enjoyed it. It turns out that the philosophy and techniques of the Montessori method are well suited for Q’s learning style and temperament. He’s very much an observer, he doesn’t jump right in and do things. He watches for awhile, let’s it sink in, then he does it when he’s ready. Since a lot of the school work (“challenging work” is what they refer to it at his school, which I love) is intentionally set up to be self-motivated, he can choose to do things at his own pace and for his own pleasure. He’s allowed the time to do things for himself, rather than to just please others. Also, the fact that he is allowed to move at his own pace and isn’t forced to do work that he isn’t interested in at the moment, allows him to work from a place of confidence and not fear. It also helps him to be genuinely engaged in what he’s learning. Don’t get me wrong. He gets frustrated, for sure. He sometimes speaks/reacts before thinking. He needs to be encouraged to choose work that is outside his comfort zone. It’s not like it’s all smooth sailing. We also love the fact that the Montessori method teaches real life skills. All the children are free to get their own snacks at their leisure. They pour their own drinks, get their own snack and ceramic plate. The use of ceramic plates is a conscious decision too. It instills a sense of responsibility in the kids, it lets them know they are trusted with breakable things. When they are done, they sweep up their crumbs with tiny brooms and dust pans, wipe down their tables, then wash their dish. Maria Montessori, the founder of the Montessori Method, believed that giving kids freedom, trust, and responsibility was essential. Of course, drinks are spilled, plates are occasionally broken, but it’s no big deal. What adult hasn’t spilled a drink or broken a plate before? It happens. A multi-age classroom that encourages learning from one’s peers: This means that a group of kids varying in age are all taught in one classroom. At Q’s school, the age range is from 2 and a half to six years of age. The older ones help guide and lead, while the younger ones develop their learning skills. Blocks of time for working uninterrupted: This means kids get at least three hours of time to select freely the activities they want to engage in, and fully explore and become absorbed in their work. Free choice to work on activities in a prepared environment: This basically means “freedom within limits” – the kids are free to make their own individual choice based on what is available to them while only interacting with the teacher when they feel they need support or guidance. The main teachings revolve around the idea that all children are unique and have the ability and inherent desire to learn. There are many more guiding principles to the method, too many for one post! But I will continue to share more since I find it a fascinating method of learning. 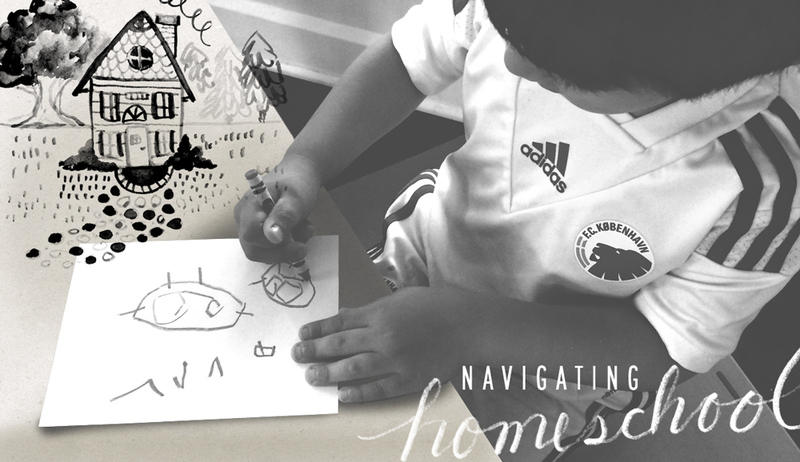 Recently I wrote a post for the Scratch Mommy site on bringing elements of the Montessori Method into the home and the ways that we are utilizing the idea of the Prepared Environment in our house: Setting Your Home Up for Montessori on Scratch Mommy. Do any of you use the Montessori Method with your kids? Would love to hear your stories!